Elliott Wave theory is a popular topic in Forex trading — almost 20% of this blog readers use EW in their analysis. Last year, I have uploaded a book, which offers a new approach to achieve a definitive wave count in Elliott Wave analysis. Today, I bring to your attention another free e-book — Introduction to Elliott Wave Theory. 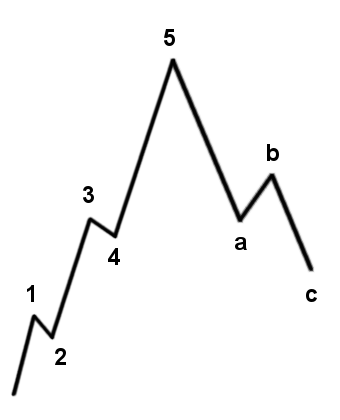 It was created by Muhammad Azeem, a certified Elliott Wave analyst and an author of our daily Elliott Wave videos. Motive waves and their types: impulse waves and diagonals. Corrective waves and their main types: zigzag, flat, triangle, and combination. The theoretical part is complemented with the real life chart examples that show how the Elliott Wave count is applied to the price analysis and how the actual trading is done using that wave count. The last few pages of the book summarize the topic and also tell us about the effect of switching to Elliott Wave analysis on the author’s FX trading performance. I am not a fan of the Elliott Wave theory, but Muhammad Azeem seems to be a real expert in this topic and offers a simple presentation aimed on total beginners. If you have heard about the Elliott Waves but have not found a good starting point yet, I recommend downloading Azeem’s e-book. Of course, if you have already read some books about EW or if you are already using the concept in trading, there is little to be learned from this introduction. If you have any questions, comments or opinions regarding Introduction to Elliott Wave Theory by Muhammad Azeem, please feel free to post them using the commentary form below.